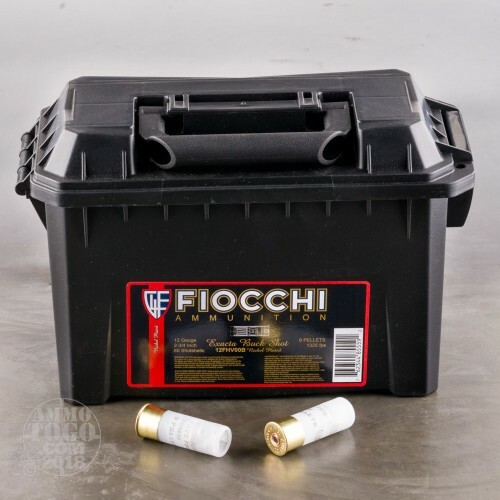 Although headquartered in Lecco, Italy, Fiocchi manufactures most of the ammunition for their American market at their state-of-the-art manufacturing facility in Ozark, Missouri. The company is well-known in competitive shooting, producing an array of competition shotgun cartridges. 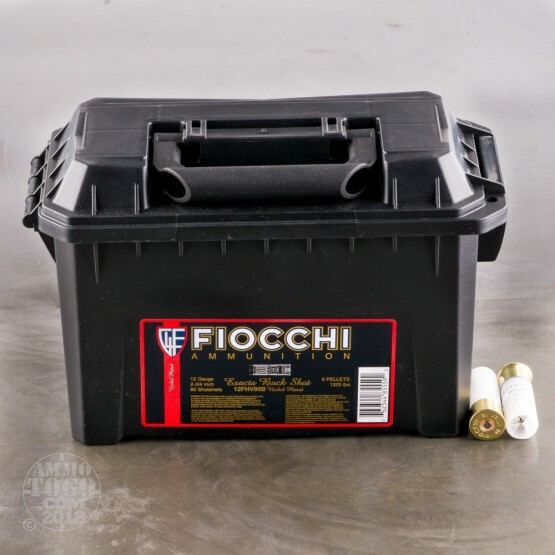 The Exacta line is Fiocchi of America’s premium line and has helped many competitive shooters win Olympic medals and World Championship titles. This package contains 80 rounds of Fiocchi Exacta 12 gauge ammunition packed in a black polymer ammo can. 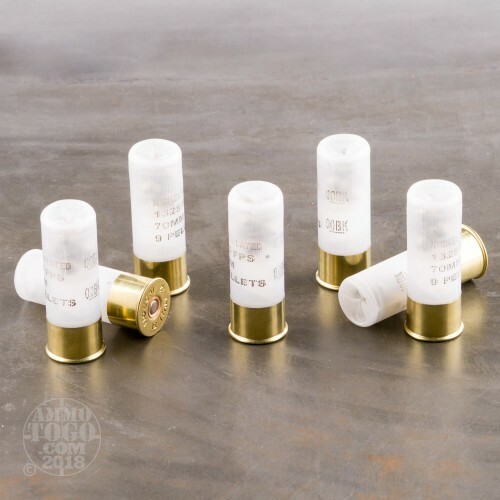 Each 2 ¾-inch shotgun shell is loaded with 9 pellets of 00 buckshot. Manufactured to strict tolerances, these loads feature moisture-resistant plastic hulls and hard, functional one-piece plastic wads. 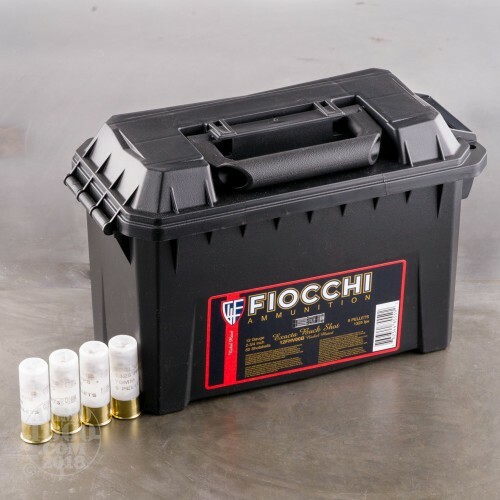 This ammunition is factory fresh and engineered with consistent clean-burning powders and non-corrosive primers. Each round produces a consistent muzzle velocity of 1325 feet per second. I will say that it would be ideal for a pump shotgun if you wanted a very light recoil shell with low performance in penetration and such. It would be suitable for children and others that are scared of shooting. It might be really good for training purposes but only for pump-action guns. I literally can't use these shells and will be selling them or giving them to someone with a pump action gun.